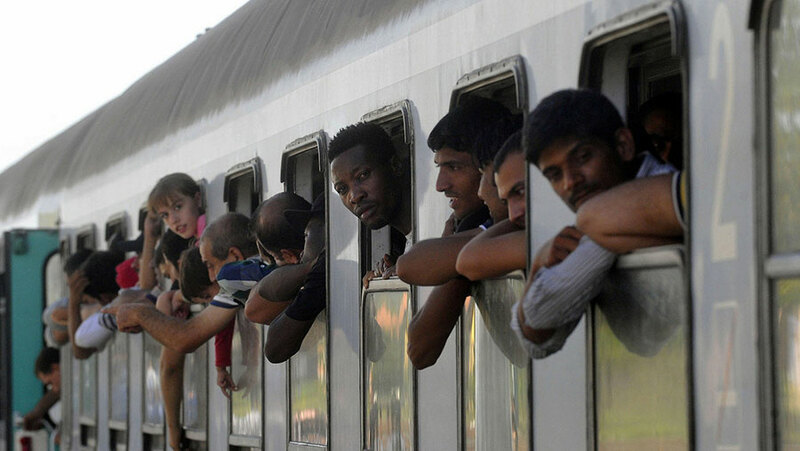 There are between 4,100-4,200 migrants currently residing in Serbia who should be introduced into the system, said Commissioner for Refugees and Migration Vladimir Cucic. “We are faced with a different kind of challenge. Whatever those people decide, their actions should be in line with established procedures,” Cucic said addressing the closing conference of the project “Protection and humanitarian aid promotion in Macedonia and Serbia,” co-funded by the EU and implemented by the Danish Refugee Council (DRC) in cooperation with the Government of Serbia. A couple of weeks of ago, the number of migrants decreased, the Commissioner said, adding that it grew again in the past few days. There are some 50 people who are living outdoors, he added. I hope that Serbia, together with its partners, would yield the same results in other areas as it did in education, Cucic said, adding that Serbia was among the first to introduce compulsory education for migrants. If it was not for European money and support, the migrant crisis would be impossible to tackle, he said. Nicolas Bizel of the EU Delegation to Serbia said the EU would remain committed to supporting migration-related activities of the Serbian Government. “There is still much work ahead. In the long run, we are faced with issues in the area of education, health and integration of refugees and asylum seekers,” Bizel noted. The representative of UNICEF Serbia Michel Saint-Lot said that Serbia was faced with a serious challenge of ensuring full protection, education and health for child migrants whether they are accompanied and have personal documents or not. “All children in Serbia should enjoy rights guaranteed by international law, regardless of their legal status. All children must be given proper accommodation and protected from all forms of exploitation and abuse. Also, the Ministry of Justice of Serbia is obliged to bring to justice everyone responsible for children’s rights violation,” Saint-Lot said. UNHCR representative Hans Friedrich Schodder said that Serbia should find ways to support refugees and migrants in every possible way and regulate their legal status. He welcomed the recently adopted Law on Asylum and Law on Foreigners. “It is very important to turn our humanitarian response into institutional action,” Schodder said. According DRC Serbia Director Marina Cremonese, over the course of the project launched in March 2016, thousands of beneficiaries in 18 refugee and migrant centres across Serbia have been provided with necessary assistance. She said that over 30,000 migrants were assisted through various activities, emergency aid packages were delivered to more than 23,000 migrants, 12 centres were reconstructed, accommodation capacity was enhanced in four centres, whereas 2,300 people benefitted from financial assistance.